North Carolina is one shot away from being back-to-back National Champions. If Kris Jenkins clanked his game winner in 2016 (and the Heels prevailed in overtime), the recent run by North Carolina would be considered among the greatest in the history of the sport. Instead, we enter the stretch run of Roy Williams career as he tries for one last title before walking away. A large portion of North Carolina’s title team has left Chapel Hill, for the NBA or following their senior seasons. ACC Player of the Year Justin Jackson, Isaiah Hicks, Nate Britt, Tony Bradley, and Kennedy Meeks have all departed. The remaining Tar Heels feel like a decimated and completely re-worked roster compared to last season, like when a successful TV slowly loses actors as the seasons get more and more ridiculous. Luke Maye is in a starring role now! That shouldn’t happen. 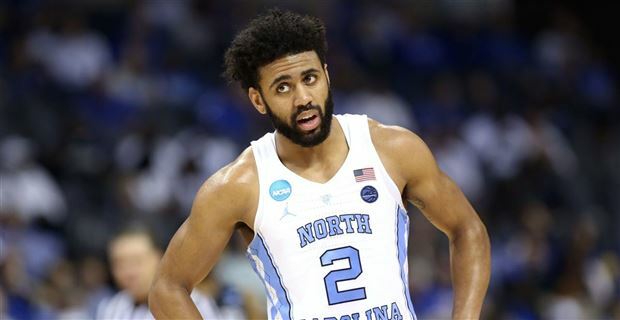 Joel Berry, expected to star at point guard for this team, broke his hand punching a wall because he lost while playing a video game. He’ll return in December. When he does, he might be the best point guard in the ACC or even the nation. He’s led back-to-back Final Four trips, though this year will prove to be his toughest test. He no longer has Meeks sucking defenders into the paint or Jackson commanding attention. This is Joel Berry’s team now, or at least it will be when the cast comes off his hand. Theo Pinson is a defense-first swingman. Kenny Williams barely saw an any action as a sophomore last season. Second year player Seventh Woods was expected to fill Berry’s shoes running the show, but did not start against Northern Iowa. I can, however, confirm that his first name is still Seventh and that’s still truly incredible. Freshman Jalek Felton has snagged the starting spot at point guard early in the season so far. The 6’3 combo guard is the nephew of former Carolina great (?) Raymond Felton. In order for the Heels to be a factor in March, he or Woods will need to step up and showcase the ability to score and create, even after Berry returns. Garrison Brooks, another freshman, has found his way to Roy Williams’ starting lineup. The 6’9 big man already has the body to compete in the ACC, though he has enormous shoes to fill with Meeks and Bradley no longer sporting Carolina blue. In all, North Carolina looks like a disjointed lineup made up of new faces and role players who need to make a leap. Add in Berry, undoubtedly the best player on the roster, joining midseason and this team looks like a real challenge for Roy Williams and his staff. Making matters worse, arch rival Duke is as talented as ever and looks to be the class of the conference. A top ten ranking feels like a stretch for this team, given how much it lost after last season. Perhaps the program has earned a little leeway and deserves high expectations year after year. In my book, until we see Berry back on the court, there are a variety of reasons to be skeptical here. Next up is a fiesty Bucknell team that underwhelmed in an upset chance at Arkansas. The Heels will also meet Stanford, Michigan, Davidson, Tennessee, and Ohio State before ACC play begins. Carolina’s conference schedule is as tough as you’d expect, with a home date with Miami, a trip to Louisville, and home-and-home slates with Notre Dame and hated Duke. Something tells me the season finale at Duke on March 3 might have some postseason implications.